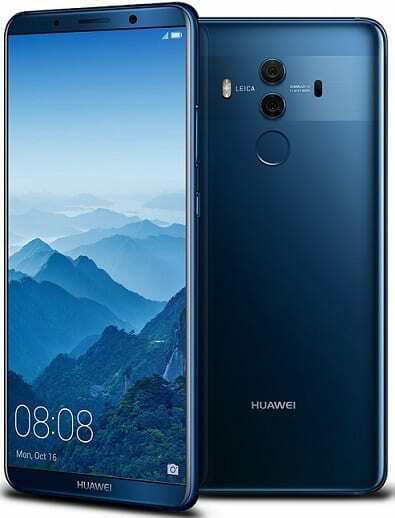 The Huawei Mate 10 Pro features similar glass-clad body as its regular variant. It is sleeker and looks like one to fit well in your hand despite the size. The beast is slightly slimmer than the Mate 10. With an IP67 rating, you need not worry about water entering into the phone easily. The display on this device is marginally bigger, measuring 6 inches in diagonal size. But the resolution is lower at 2,160 x 1,080 pixels. The screen boasts an aspect ratio of 18:9 and thin bezels for awesome viewing. 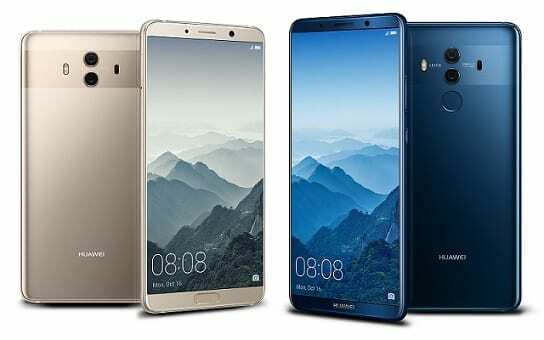 Huawei Mate 10 Pro uses OLED technology, just like the iPhone X. The camera setup here is comparable to that of the regular Mate 10. You find dual lens camera – 12MP colour and 20MP monochrome – on the back. Like its brother, the Huawei Mate 10 Pro boasts f/1.6 aperture, which is the largest ever on a smartphone. It uses Leica optics and boasts OIS, laser and phase detection autofocus, and 2X lossless zoom. The AI processing of the new phones enable the camera to recognize any object you point it at. The snapper can differentiate between objects and humans for better image quality tweaking. An 8MP shooter with f/2.0 aperture is available on the front for selfies. The Huawei Mate 10 Pro also relies on the new, powerful Kirin 970 processor that runs along at up to 2.4 GHz. The octa-core chip pairs with a Mali-G72 MP12 GPU and abundant 6GB RAM. Huawei Mate 10 Pro has a neural processing unit (NPU) that drives its AI and deep learning capabilities. This also helps ensure performance remains great after using the device for a while. Inbuilt storage is 128 GB. Android 8.0 Oreo OS promises highly enjoyable user experience. Users also get a 4,000mAh Li-Po battery on this one. Huawei promises you will be able to boost this to almost 60% in half an hour of charging. The Huawei Mate 10 Pro offers a fingerprint scanner on its rear. It boasts USB Type-C port and lightning fast Cat. 18 radio with gigabit LTE speeds. Huawei Mate 10 Pro is not yet available in Nigeria, Kenya, and Ghana. Huawei Mate 10 Pro is expected at around 799 Euros. We currently have no data on pricing and availability for Nigeria, Ghana, or Kenya. When available, Huawei Mate 10 Pro Price in Nigeria is expected to range from 359,000 Naira to 450,000 Naira depending on your location.